The W.Howard Group comprises W.Howard Limited, Polyco Limited and W.Howard Kildare Limited. Our expanding range of MDF profiles includes Primed, Veneered, Wrapped and our exclusive KOTA™ product. The Group's core range is one of the largest in Europe and we hold more than 200 stock profile sizes and finishes. Our mission is to be the UK and Europe’s preferred partner to Merchants, Manufacturers & Distributors within the construction industry. 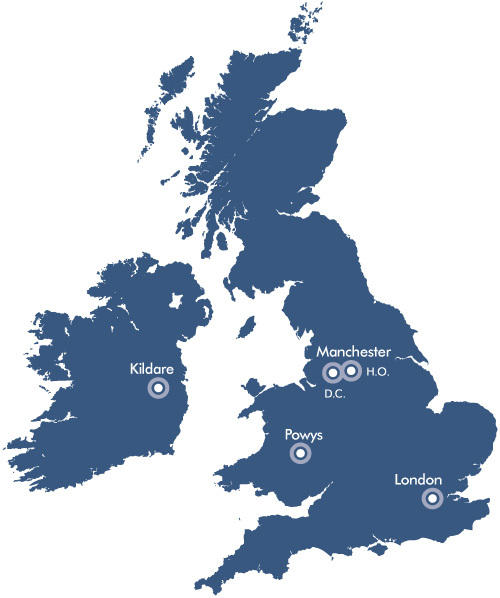 Our London distribution centre offers a collection or delivery service for merchants in London and the south-east. Our primed products are defect free with no knots, warps or defects. Twice primed and ready to install.